Posted by Stuart Herbert on December 17th, 2010 in Desktop Wallpaper, Travel Photography. 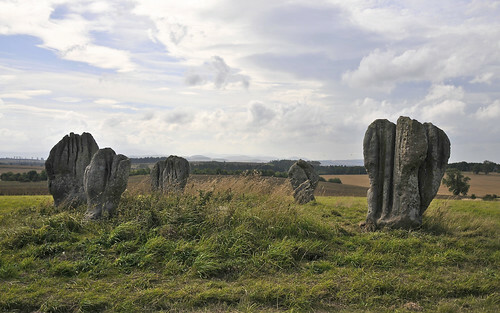 To bring the last fortnight’s theme to a close, here are the Duddo Five Stones standing around the crown of the hill in all of their weathered glory. I hope you’ve enjoyed this week’s wallpapers as much as I enjoyed sharing them with you. With just one week to go to Christmas, next week I’m going to start counting down my favourite desktop wallpaper choices of 2010. If you have any favourites of your own, please leave a comment!